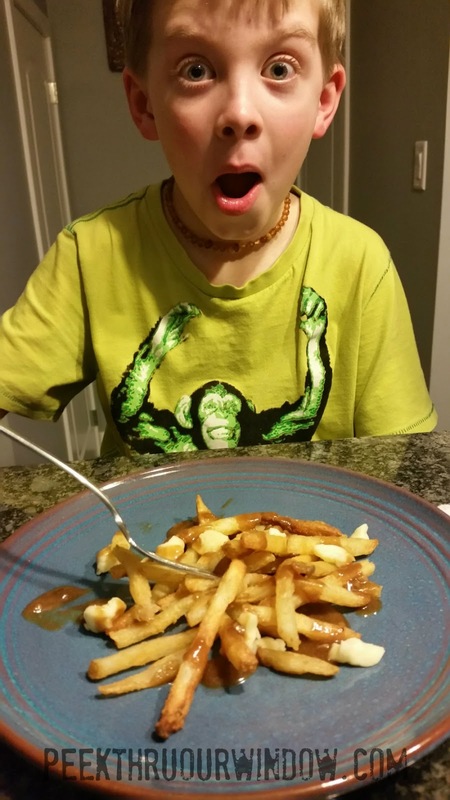 Poutine has been my “Mommy” secret for almost a decade. When MommyO does chores in town, she may stop into McDonald’s for this saucy dish on-the-go more often than she should! A few weeks ago, my daughter and I went skiing. We chose the pub for lunch, because the last time I had skied, there was some fun art on display in the pub that I thought she’d love to see. The problem? No kid’s meal. I told Beebo we could order something to share or she could have her own, but her eyes lit up at the menu… she would have the POUTINE! She enjoyed her Poutine immensely that day. It was also then, that I decided to make it one of our fun meals of the month at home. Step 1 – Potatoes. Cut them into fry-size pieces. Or, use bagged frozen fries… crinkle cut, shoestring etc. Bake as per instructions. 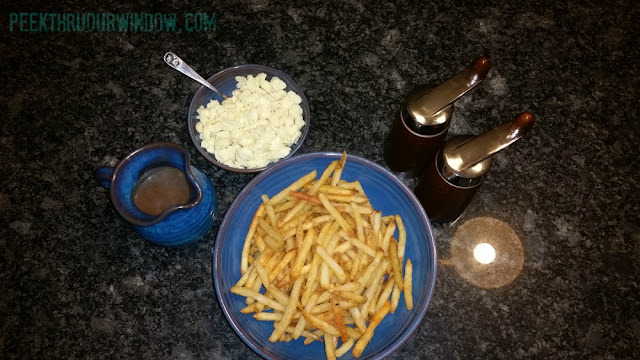 Step 2 – Cheese Curds are the traditional cheese used when making Poutine, but feel free to use grated cheese of ANY flavour! Add them to your fries before the gravy. Step 3 – The Gravy. Aka – the Best Part. You can use gravy from a can, a packet, or good old-fashioned Grandma’s stock. Pour it on and a la POUTINE!